Dancing with the Stars, one of ABC’s hit shows, was gearing up for its upcoming season. Although the show already had a strong fan base, ABC still needed a flashy way to announce the new time slot as well as entice new viewers who had not yet seen the show. In order to meet their objectives, ABC decided to run a magazine insert campaign that reflected the show’s flash and that would build excitement for the new season. 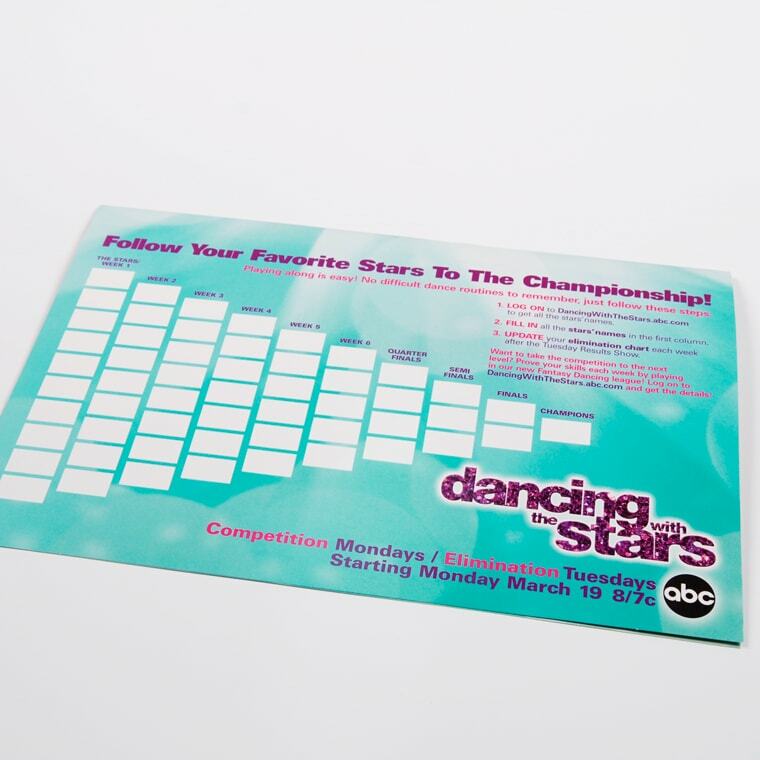 Americhip helped ABC and Dancing with the Stars get into the swing of things with a flirty, fun, tactile and interactive magazine insert. 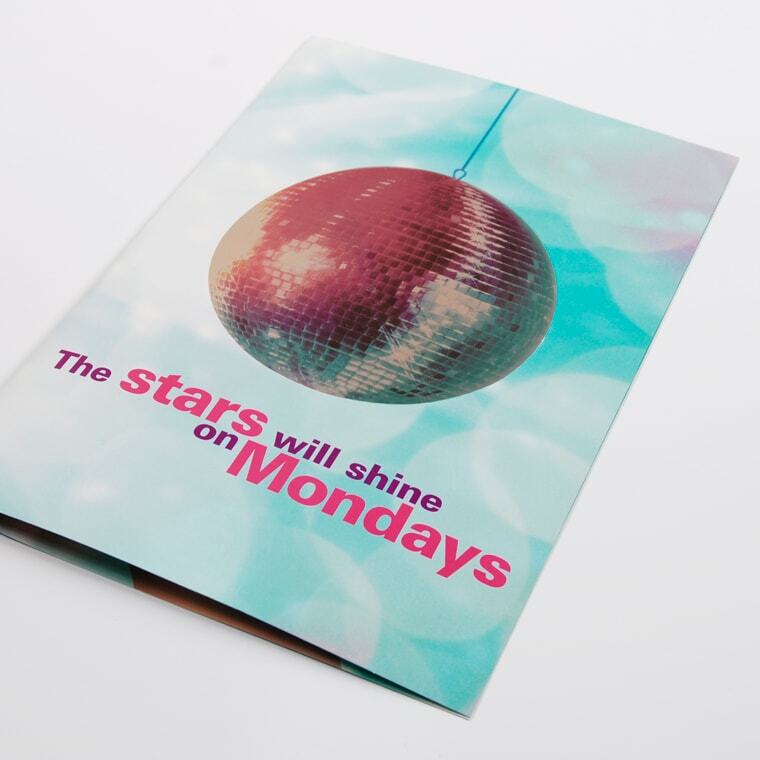 The insert started off with a shiny disco ball (of course) printed with a metallic gloss to grab the reader’s attention. It then opened up to reveal a dancer in full costume with a skirt that had actual materials to represent the dancer’s skirt. The use of the materials was an interesting and engaging way for readers to appreciate the costuming of the show while also compelling readers to visualize that the insert had movement, but in this case, the insert was dancing. And if that weren’t enough, the last page of the insert had a guide that readers could use to track and follow their favorite stars from the first episode to the championship. With Americhip’s help, ABC now had an original and fun way to remind readers of its new time slot, get them excited again, and ultimately increase its loyal fan base.